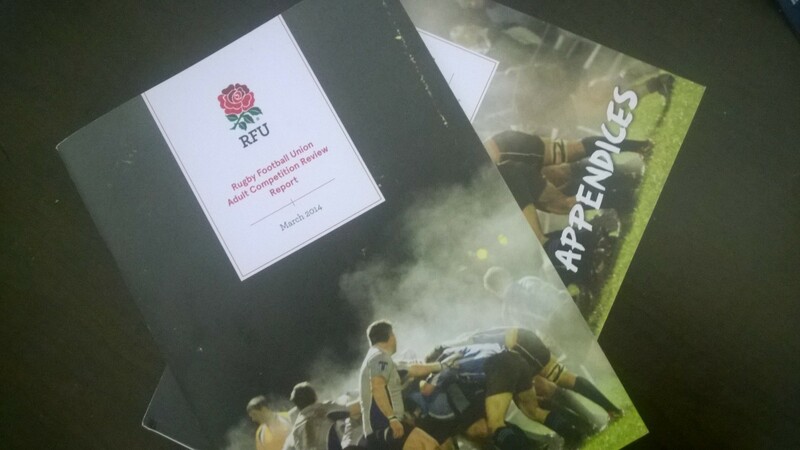 The RFU’s Adult Competitions Review Steering Group worked over a two-year period in conjunction with a wide range of stakeholders to produce this report and its recommendations on the structure of rugby competitions in England. The RFU Council is being asked to vote on these recommendations at its meeting in June 2014, but before I can decide which way to vote I need to hear from clubs in Eastern Counties that are most affected by the proposed changes. I have arranged a meeting of clubs at Level 7 and above at 7:30pm on Monday 28 April at Bury St Edmunds RFC. Chairman of the Steering Group, John Douglas, will present the recommendations and there will be plenty of time for questions. The RFU Review should be read in conjunction with the recently completed Eastern Counties Competitions Review, the recommendations of which will be implemented at the beginning of the 2014/15 season. The impact has been chiefly on clubs at Level 8 and below and on 2nd and 3rd XVs of all clubs. As our club is more impacted by the changes to the EC league structures would say that they make sense and should have a positive impact on the game. Any club’s second team should include players who pushing on towards their 1st XV and if the gulf in the leagues between them, due to a “glass ceiling” stops that then it can not help with the development of those players or indeed the ability of the club itself to progress. Done have an opinion on the level 7 and above as not yet our concern.